Synopsis: Have some older MacWrite files that you want to regain access to? The prescription to open these older files is to change their Type and Creator codes to WORD and MACA, and then open them with either BeagleWorks or MacWrite II, both of which will execute successfully on a Power Macintosh under Mac OS 9.1. Full details follow. In this very blog, not so many posts ago, I introduced readers to Chubby Bunny, a Mac OS 9 emulator that I had seen positioned as the solution to the “AppleWorks problem”. That problem, simply stated, was how to regain access to older AppleWorks documents that could no longer be opened with current tools. The solution that was positioned for this problem was to install a Mac OS 9 emulator onto your current Mac, install AppleWorks into the emulator, and voial! access restored. Fair enough, and a great introduction to the world of emulators as well. I recently encountered my own “AppleWorks problem”, and Chubby Bunny notwithstanding, I found myself struggling for a solution. The problem? I was reinstalling a graphical load meter (GLA) onto my Power Macintosh 7300/200 and wondered if its documentation might provide any insights into how best to tune its behavior. When I went to open that documentation, a single file called GLA1-5.macwrite, I discovered that I couldn’t! I had no tools that would read MacWrite format, and could not gain access to the file. This was the “AppleWorks problem” all over again, except that this time it was the “MacWrite problem”! MacWrite debuted with the original Macintosh back in 1984 (that is over 30 years ago folks!) and was enormously popular in its day. For a time it gave battle to Microsoft Word for market leadership of the then nascent desktop publishing market. Ultimately however, Microsoft Word won the fight and MacWrite languished. Nonetheless, its period as a serious contender means that there are probably a LOT of older documents out there that are still in that format. The “MacWrite problem” was thus an interesting one, and I set out to solve it. Being an engineer by training, my first thought was to solve the problem in the most direct manner possible. 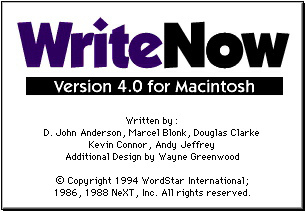 Get a copy of MacWrite, install it on my Mac OS 9 machine and use it to read the document in question. This sounds simple enough in theory, but in practice it just didn’t work. To be sure, I found every past version of MacWrite that had ever existed, but none of them would execute on my “modern” Power Macintosh 7300/200. Checking with Low End Mac (www.lowendmac.com), I found that MacWrite versions 1-4 required System 1.0!! 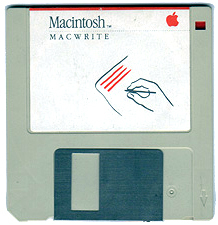 MacWrite version 5 required System 4.1, and shortly after that, one exhausted the original MacWrite and was into MacWrite II. MacWrite Pro sounded interesting, requiring the more recent System 6 – perhaps this might be compatible enough with Mac OS 9 to run? It was! I did manage to get it to run successfully, but it steadfastly refused to open the earlier MacWrite format. This effectively ruled out the direct approach. If I could not get MacWrite itself to run, what about other programs that could read the MacWrite format? This seemed promising, and I went down this route for a time. MacWrite Pro, mentioned just above, was of course a first effort in this direction, and it failed. I naturally thought of AppleWorks next. 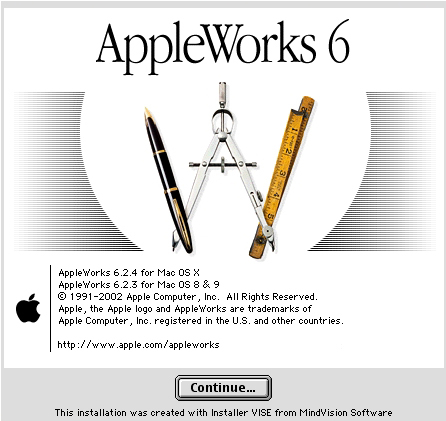 I found a copy of AppleWorks 6 and loaded it onto my 7300/200. 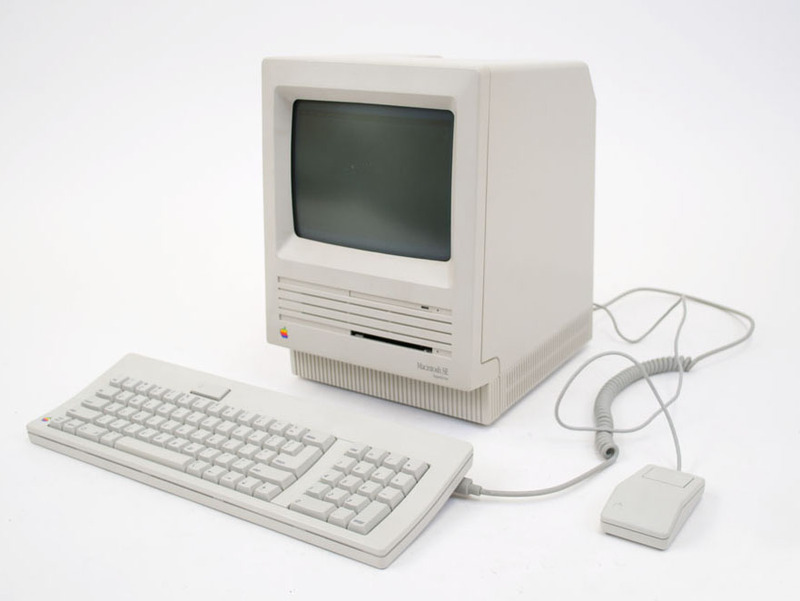 The AppleWorks word processor is a very nice module, and in fact I composed this post using it, but it would not open the format of its early MacWrite predecessor. What about MacWrite’s competitors of the day? This also seemed like a promising direction. Perhaps they read and wrote their competitor’s format as a way of gaining market share at MacWrite’s expense? Microsoft Word was THE big competitor at the time, and so I tried various versions of it, but without any luck. Word 3 crashed my 7300/200 completely; Word 4 did the same. Word 98, which I have loaded natively on my 7300/200, looked at the file, and hopefully offered up a variety of translators that it could use to open the file, but MacWrite was not among its supported set of translations. WriteNow was a contemporary of MacWrite’s too, and so I gave it a whirl as well. No joy there either. It too refused to have anything to do with the MacWrite file. The competitive product angle was starting to look like a dud at this point, but I had one last ace up my sleeve – BeagleWorks. BeagleWorks is an older (1989) 68K based office suite from Beagle Brothers. Its age argued in its favor – it should have coexisted in time with the original MacWrite versions. Surely it would read and write their files. Sadly, no. It’s Open File dialog wouldn’t even let me select the file, much less open it. OK, MacWrite itself could no longer be coaxed into life on my “modern” 7300/200, and none of its contemporaries seemed to offer any more value in this quest. Perhaps I really did need to have an older Macintosh to run a program as old as MacWrite? Well, perhaps… Now happily, I just happen to have such a Macintosh in my collection, a Macintosh SE, The Macintosh SE is a member of the original line of Macintosh computers, sporting the original one piece, carryable case. I drug it out, booted it up and had a look. It said it had a 68030 processor upgrade, 4 MB of RAM and System 6. This sounded promising. I hunted through its hard drive and surprise, surprise, I found MacWrite itself! Excellent! …well, not so fast. When I tried to run MacWrite, the Macintosh SE served up a fatal error using the iconic and classic Macintosh bomb dialog and had to be restarted to get any further life out of it. I tinkered with MacWrite for about an hour after that, adjusting its RAM, playing with the control panel for the 68030 accelerator, and trying various tweaks and tricks. Nothing worked. Each attempt to run MacWrite resulted in a bomb. This was getting frustrating. Would I never succeed in opening that darned help file? Now it just so happens that this elder Macintosh had Microsoft Word 4.0 on it! As you will recall from above, I had gotten nowhere with this particular program on my Power Macintosh 7300/200, but here it was again, perhaps in its native environment. I decided to give it whirl on this older System 6 machine and see what would happen. Much to my delight it ran cleanly! Checking its supported file formats, I found that it would both read and write MacWrite files. This was definitely progress, and so clearly my original thought to try MacWrite’s competitors had been on the right track. Getting just a little inventive at this point, I used Microsoft Word 4 on the Macintosh SE to create and save a test file in MacWrite format so that I could determine what the correct Type and Creator codes SHOULD be (the original file I was tyring to open had these set to MW2D and MWII respectively). The Type and Creator codes for newly created MacWrite test file were different: WORD and MACA. Consulting the excellent list of type and creator codes at http://www.macdisk.com/macsigen.php3, I found that Type WORD identifies the file as a MacWrite 4.6 or 5.0 file, while Creator MACA identifies the program that created the file as either MacWrite 2.2 or MacWrite 4.6. SO, WORD/MACA could be the correct combination for the help file I was trying to open if it really was an authentic MacWrite file. Back on my 7300/200, I used BunchTyper to change the GLA documentation file’s type and creator to WORD and MACA respectively, and then took it back to the Macintosh SE. Success at last! Microsoft Word 4 obligingly opened the file, pausing only for a brief moment to throw up a dialog saying that it was converting a MacWrite file. Brilliant! Just what I wanted it to do. When it completed the conversion, it displayed the file properly and my quest to see the documentation for GLA 1.5 had finally succeeded. I saved the file off as a Microsoft Word doc file, took that back to my 7300/200 and Microsoft Word 98 there happily read the file. Finally, after all those gyrations, the content of the GLA 1.5 help file were once more viewable on a “modern Macintosh”. At this point, I began to suspect that the original and incorrect settings of the file’s Type and Creator codes might have had a lot to do with my earlier troubles opening it. I tried the original document in WriteNow again, but this time with its Type and Creator codes set to the correct values of WORD and MACA. No joy. Not only would it not read it, it crashed the 7300/200 again. I rebooted and tried this exercise again, but with Beagleworks this time. This worked! BeagleWorks certainly took its time converting the file, but after a lengthy delay it opened the file, and displayed it properly formatted, something it wouldn’t do with the file’s original Type and Creator codes in place. So, GLA’s help file has gone from being locked in an unreadable older format (MacWrite) to now being in a commonly readable format (Microsoft Word) via the intervention of BunchTyper, a Macintosh SE and Microsoft Word 4 running on said Macintosh SE. That’s a lot of trouble just to open an approximately 30 year old file, but there you have it! The moral of this story? If you are trying to recover some older MacWrite files, you will either need an older machine, and some older software to go with it (Microsoft Word 4), or you will need a new Power Macintosh and BeagleWorks. In either case, you will need to ensure that the type/creator of the file you are trying to open is set to WORD/MACA. The ultimate irony in all of this? MacWrite Pro cannot read the file formats of its earlier siblings, but its chief rival, Microsoft Word, was more than happy to do so. I wonder if this sheds any light on why Microsoft Word ultimately triumphed? p.s.> After completing all of the above, I mounted another search for MacWrite, and then for MacWrite II. Eventually, I found a demo of MacWrite II at http://68k.preterhuman.net, and a full copy of MacWrite II at MacGUI (http://macgui.com/downloads/?file_id=28105). Both ran cleanly on my 730/200 and both directly opened the original MacWrite file, However, both would ONLY do this after I set the file’s Type/Creator to WORD/MACA. Left at the type/creator the file originally had when I started this exercise (MW2D/MWII), MacWrite II just grumbled “File Structure is Damaged” and refused to proceed. Of course, I now know that the Type/Creator of MW2D/MWII identifies the file as a MacWrite II file, which it definitely was not. 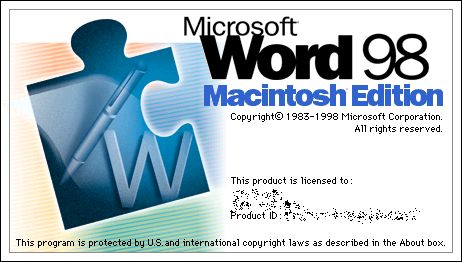 So, in the end, the prescription to open older MacWrite files is to change their Type and Creator to WORD and MACA, and then open them with either BeagleWorks or MacWrite II, both of which will execute successfully on a Power Macintosh under Mac OS 9.1. Got some older MacWrite files that you have always wanted to get into again? Happy Reading! This entry was posted in MacWrite, Word Processing and tagged AppleWorks, BeagleWorks, MacWrite, MacWrite II, WriteNow. Bookmark the permalink. it is possible to use an emulator (for instance MiniVMac) to launch MacWrite, in fact, MacWrite 1.6, 2.20, 4.6, 5.0 still work on MacOs 7.5.3 (*). Note: LibreOffice now contains some filters to open many MacOs formats (including AppleWorks, BeagleWorks, MacWrite, MacWrite II, WriteNow, ….) ; even if there are not perfect, …. (*) I never found a version of MacWrite 3, so I can not test.